A woman's role is not limited to being a homemaker or a caretaker of the family; she is also the Finance manager, dreamer, and an achiever. Planning good investment leads to good future prospects. There are various investment plans available in the market and choosing one isn’t a child’s play nor rocket science. What is the smartest investment? The sooner you start investing; the better the returns will be and mutual Fund investment can be the wisest choice among the bouquet of choices. Mutual funds are a great option for investment as in a way your money is earning FOR YOU! Equity Funds - are invested in stocks and shares of companies. They are a high-risk investment but the returns are also high. Debt Funds - Invested in debentures, government bonds etc. These are moderate risk investment and the return is also moderate. Hybrid Funds - Invested in both equity funds as well as debt funds. This investment has low-level risk which is why the returns are also very low. Mutual funds can be a great way to Earn, Save and Spend. It’s a way of investment where your money goes out and earns for you. Mutual fund investment gives you a planned return with low risk and professional management. Generally investing everything in one industry increases the risk of loss but with mutual funds, such risks can be minimized as the investment is segregated between different stocks, bonds, and avenues. Mutual fund investment gives you a choice to invest in either regular funds or in tax saver funds. With a regular mutual fund you can withdraw from funds after the investment begins but with tax saver, there is a time period before you can withdraw anything. 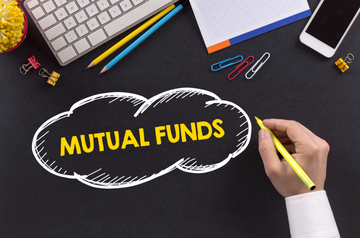 Mutual funds claim income tax benefits under section 80C of the Income Tax Act. It helps in bringing the taxable income down. SEBI is the regulatory authority for mutual fund investments, the rules and guidelines are strictly followed so that there is no unfair treatment and investment works in favor of the investor. The cost of management and services provided is very low, so one doesn’t have to spend too much on asset management. Your investment would be tax deductable but the income from capital gains and dividends would be tax-free. Experts say, as soon as you start earning you should start investing too. Equity fund investment is a good way to plan your retirement. A good education for your child is getting expensive and is utmost necessary; through mutual funds, one can plan a safe future of their kids’ education as well as marriage. Everybody has a dream and these dreams can be fulfilled with planned mutual fund investment like buying a car, house or a trip abroad. There are two options bank Monthly Income Scheme (MIS) and Monthly Income Plan (MIP) mutual fund that gives you a regular income. The investment is like your monthly income; you invest a certain amount and get a suitable return like monthly salary. #1. Indian Citizen needs to submit their KYC details along with the application forms to invest in the mutual funds. Certified proof of citizenship and address overseas. The interest rate change is also known as price risk. This risk primarily affects fixed income securities because the market interest rate is inversely related to bond prices. Putting in a huge amount in one particular scheme is not a good option for investment because profit will be huge if you are in luck, but there’s an equal risk of losses. So it is advisable to diversify the investment in order to lessen the risks. At times there’s a dearth of buyers in the market which is why it might be difficult to redeem the bond at the time you need it the most. This means the issuer of the scheme is unable to pay what was promised. In case of mutual funds, debt funds particularly suffer from such risk. Therefore, it is prudent to always check the credit ratings of the portfolio composition before investing. How to Choose the Best Mutual Fund? #1. Always check 10 years track record of a fund before investing. You must ensure that the track record is continuously good and the fund was under the top 25 investment funds during that time. #2. Now even if the track records of a fund are consistent, you cannot invest blindly, there is another point that you must take into consideration -> Always check the current fund manager before investing in the same. There might be a good track record for past 15-20 years but if the Fund Manager is not the same, there is a high risk in the investment. #3. The third very important point is that you must analyze. Always compares the risk and the return. The fund manager might get more return by taking a lot of risks but an investment is considered good only when the fund manager is taking the least risk and still gaining good returns. This is called a smart management. How much to invest in Mutual Funds per month? Investment in mutual funds depends totally on what you want to achieve as your end goal. But for a higher profit rate, it’s better to invest in a 3-5 years plan, as short-term investment won’t provide you much return. If your aim is to be a millionaire in a few years, then investing a good sum for long-term is the right way to go. This particular topic has been a source of confusion for many. There has been a decade and a half since SIP investment was introduced in the country. However, the turmoil between choosing investment in lumpsum and SIP has been a never-ending debate. Lumpsum funds are a large sum of money; it’s like an investment of the entire amount in one go. Whereas SIP is ‘Systematic Investment planning’ that allows you to invest a fixed sum of money on a regular basis. These are deducted from your saving account every month and are directed to be invested in the mutual funds. #1. Take out a certain amount that you are comfortable with, it can be 2000, 3000, or 5000 anything that suits your expenditure. Let this amount be in the bank and used after every fixed duration until everything is invested systematically in equity funds. They don’t cause you any high risk or financial burden. #2. Invest in lumpsum via liquid funds, and then do Systematic Transfer Plan (STP) from debt fund. Your return on investment will be higher and more systematic. So, if your investment is long-term and huge try to invest through SIP rather than lumpsum. Offers you pre-packaged recommendations and they offer you a way to track your investment. However, it doesn’t include any human advisor services. It is also similar to ETMoney as well as they also offer advisory services. Allows you to track and invest in direct plans of the funds. It gives you access to different mutual funds in a single gateway. You can purchase, redeem or switch between different mutual funds while also keeping a watch on your funds by tracking them through My watchlist. MyCams got the best financial app for mutual funds award by GMASA (Global Mobile App Summit). The app is available on both Android as well as IOS. It helps you transact and view your units through your account number. This app also provides you buying and selling facility of funds. SIP, STP and SWP mutual funds can be created through this app. It is also available on Android as well as IOS. Allows you to invest in lumpsum and SIP. This app can redeem and switch to funds. It’s a great app for distributors who want to keep a track of their client’s mutual fund portfolio online. You can redeem, invest, switch and track its performance of schemes. This app helps you plan your financial goals. This app also helps you calculate your SIP return on investment. You can invest through SBI balanced fund, Bluechip fund etc. Investors can benefit from Birla Sunlife mutual funds by posting queries and service requests. They can see a real-time statement, make investments and transact. This app also provides updates about dividend and NAV updates. This app also helps you purchase, redeem, start or switch SIP through internet banking facility. They also update you with the most recent NAV updates, calculators and history as per your financial goals. It also allows you to redeem your liquid funds instantly. Through this app, you can invest in some good mutual funds like Axis long-term equity fund, Axis liquid fund etc. The above mentioned mobile apps are some of the most suitable platforms to invest, collect information, analyze and observe an investment before actually diving in and investing in them. There are other apps too like MyCams, Zerodha Coin, Paisabazaar etc. 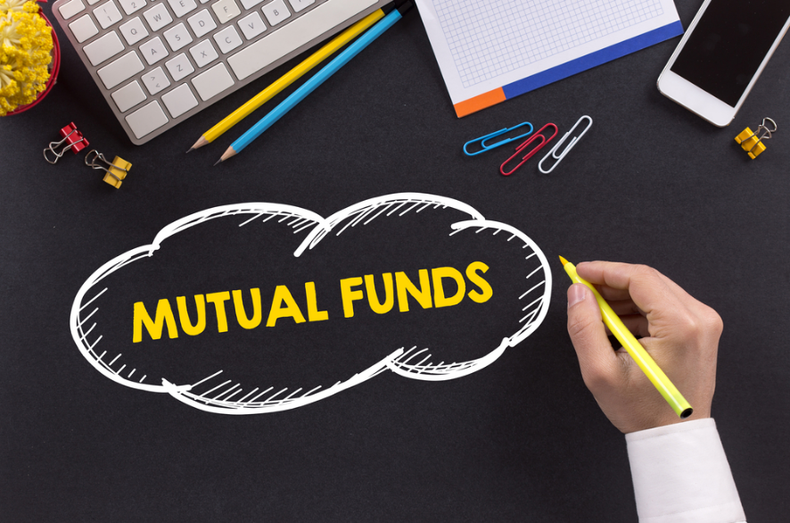 If you are an investor who doesn’t fancy associating with brokers for mutual fund investment, then buying directly from the mutual fund companies can be a wiser choice as they do not charge any extra charges or commissions. To buy these funds, you need to open an account, decide the fund that you want to invest in, click on the companies’ site and select the label that says open an account. Fill the same with online brokerage account that includes address and type of account. After this process, you need to fill whether the account deposit is a dividend or additional share. It will take less than 20 minutes to fill this application and you can mail it or you can also go to the branch office directly and fill in the form. Considering constraints like family planning, house, travel, luxury purchases, higher education or marriage, Mutual Fund investment stands out as the best choice for women who are looking make money from the comfort of their home.